It’s true. I’m a Sewaholic sewaholic. I’ve made Alma and I love it. 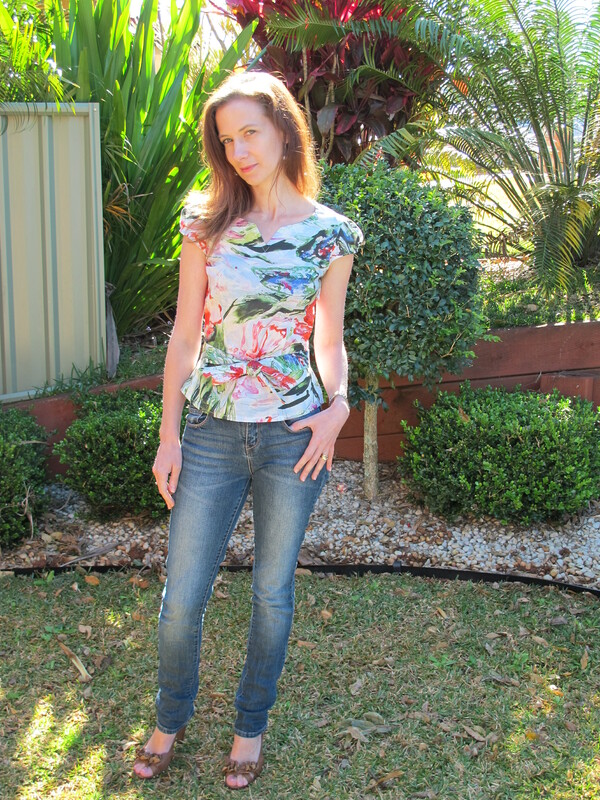 This is a seriously easy, sweet little blouse. I’m no slouch in the sewing production line, but even I was amazed at how quickly this came together. I cut out one night and started sewing and finished the next. And neither session was a marathon effort. This included me adding some small ‘SewBusyLizzy finishing touches’. After making Thurlow and Minoru which were cutting and stitching epics, this blouse was a breeze. Not too many pieces and very simple to put together. 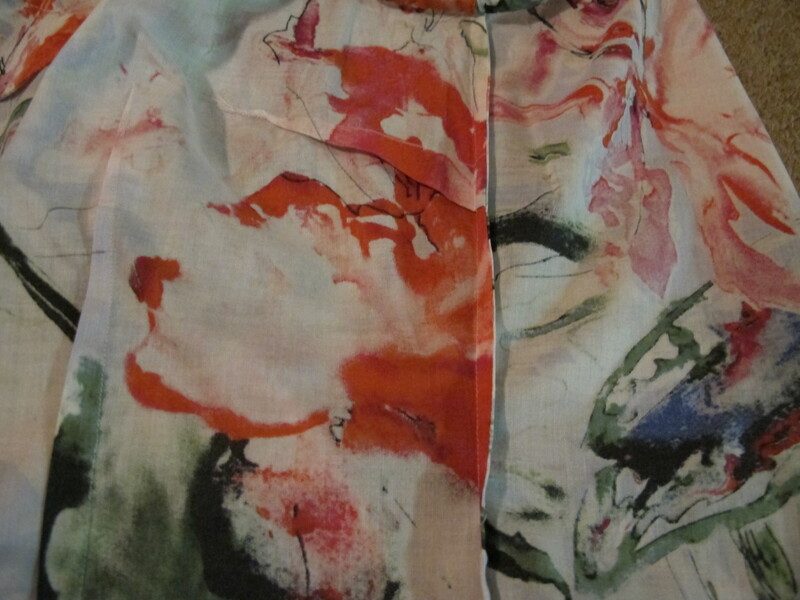 No naughty words were used in the making of this blouse. I love the fact there are no buttons. I can feel overwhelmed by detail and pattern so this pattern offers a great compromise when paired with a busy print. The drunk monkey came out to play during my top stitching. So I gave him a biscuit and put him to sleep in the corner while I unpicked it and fixed it up. I decided to try a new way to finish the edges of my iron-on interfacing. I read about it on the Slapdash Sewist – who credited Sunny Girl. I put the facing and interfacing pieces right side together. Made a tiny seam along the edge. Turned the pieces right side out and then ironed the interfacing to the facing. I’m in love with this tricky little technique and will be using it in the future. Sewaholic Alma – neat front facing. So much nicer looking than any other method I’ve seen! I made size 0 based on the finished measurements as I didn’t want it too ‘blousy’. I used a 25cm zip. When I started to sew in the 30cm invisible zipper I realised there was going to be hardly any seam left at the bottom and I would need to chop off some zipper. So I stopped and used a smaller zip. A 25cm zip was perfect. 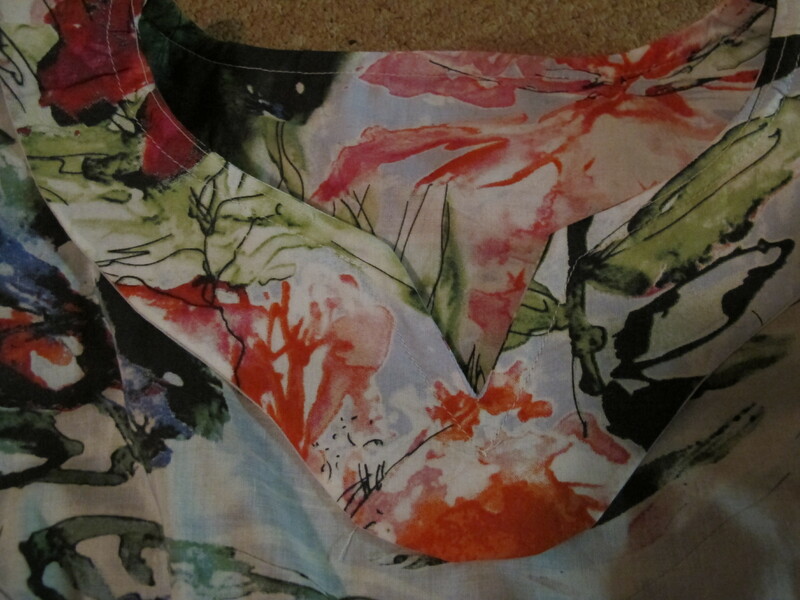 I French seamed the shoulders and the zipper-less side. I also hand stitched the armhole binding down. When I tried it on I was a bit freaked out by the sleeves. 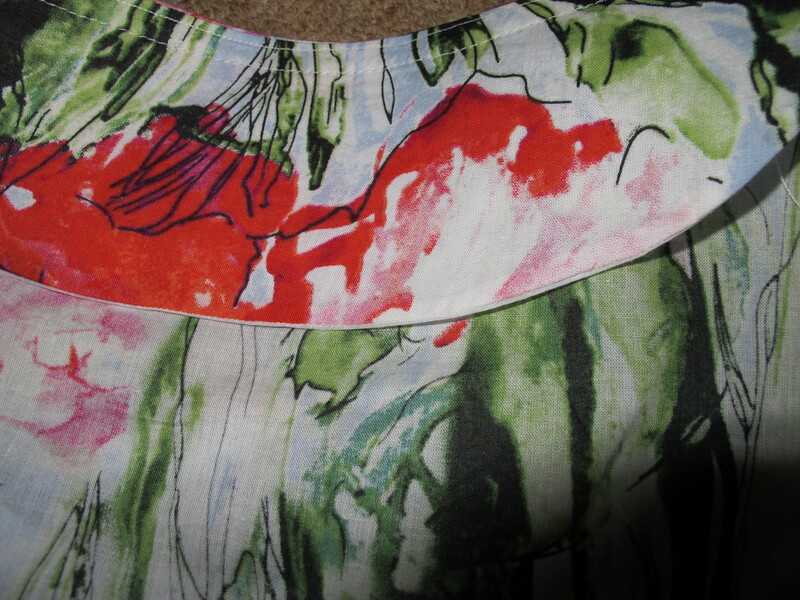 I’m not particularly good at girly girly stuff (after all one of my all-time favorite prints is camouflage, yes really). On my scrawny arms they were a bit twee and not so squee for me. 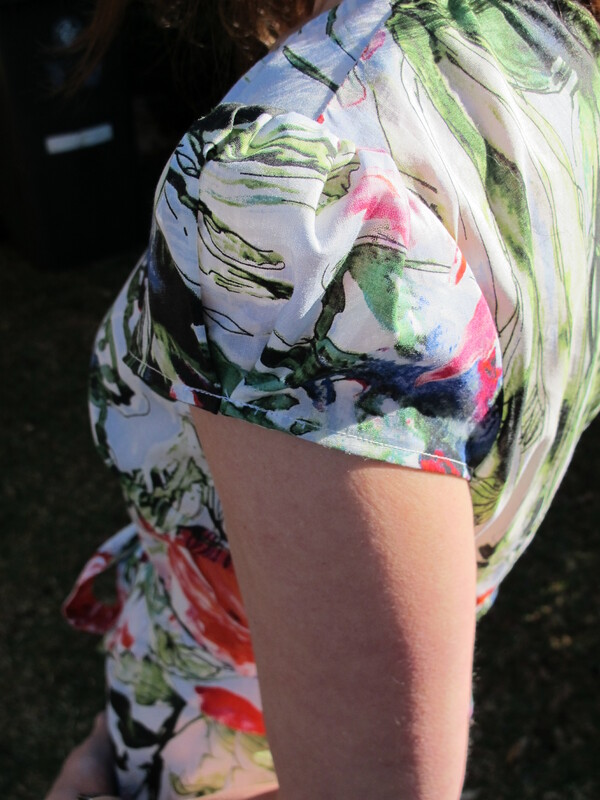 I decided to make a little inverted pleat at the centre edge of each sleeve. Me likely. Check out Sewaholic’s blog for links to the other great Almas by Marie, Karen, Debbie and Lauren. 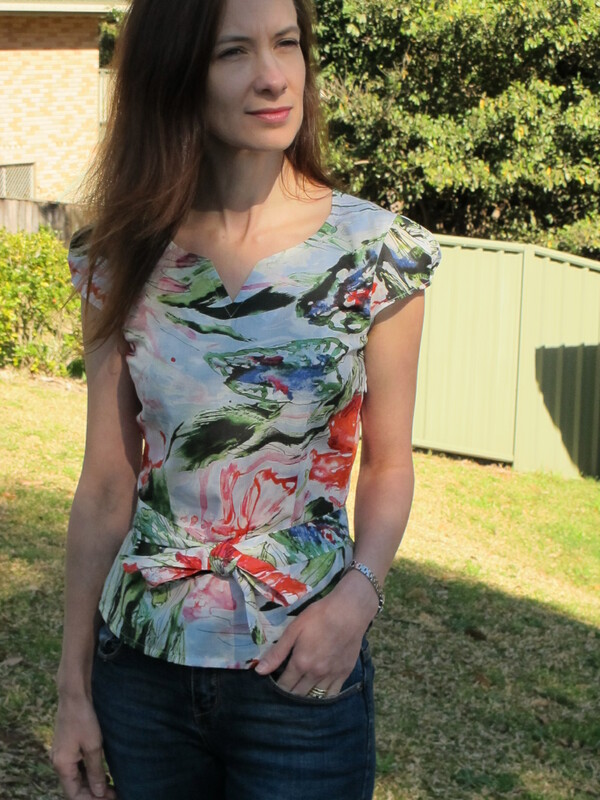 Pattern : Sewaholic Alma from Sew Squirrel.